The 3-D Verve can in the center is 23 feet tall and just over 9 feet in diameter. Two large flex faces (20'X33' and 20'X66') surround both sides with two additional Verve cans that extend from the frame. 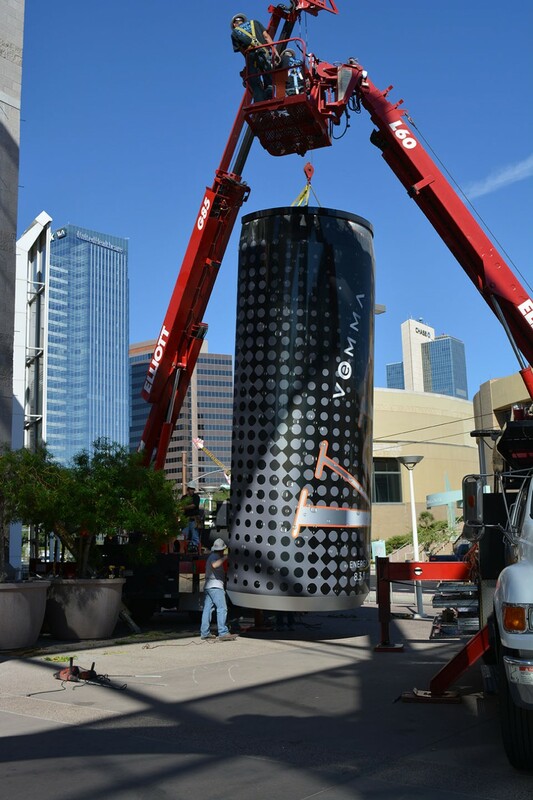 This project is located in the Legends Entertainment District, downtown Phoenix, Arizona. Legends is a unique blend of digital signage and large format super graphic static marketing opportunities including the largest signage available anywhere in the Phoenix Metropolitan area.